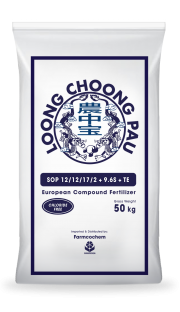 Loong Choong Pau is a brand synonymous to high-quality, being efficacious and cost effective; now comes in the form of a premium European origin granular compound fertilizer. This is a highly water-soluble phosphate fertilizer suitable for leafy vegetables and fruit crops. It is pH neutral and contains the essential trace elements for healthy plant growth. 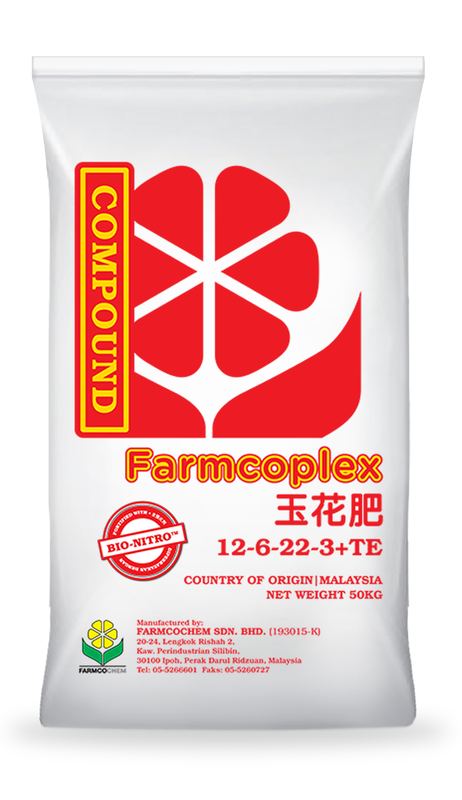 It will provide a good balanced nutrient for good vegetative growth and production especially in marginal soil areas. 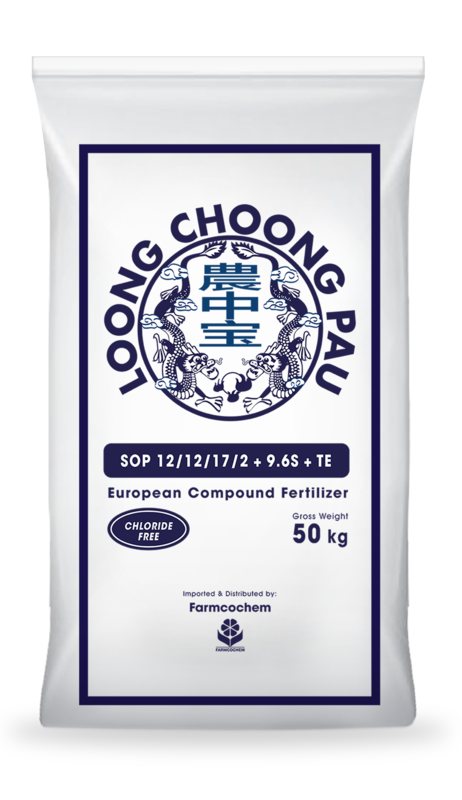 The enhanced Loong Choong Pau fertilizer is European produced with highly sophisticated technology and equipment. This enable each granule to provide well balanced nutrient ratio and predictable reaction essential to crops. Loong Choong Pau 12/12/17/2 + 9.6S + TE is an NPK compound fertilizer with potassium sulphate (SOP), magnesium and micronutrients. SOP is considered a premium-quality potash and contains two key nutrients for growing crops: potassium and Sulphur. Being a SOP based formulation means it is virtually chloride free and ideal for chloride sensitive crops. Many high-value crops would require Sulphur (S) to increase crop yields and improves produce quality both of which determine the market price a grower would get for his or her produce. Loong Choong Pau 15/15/15 + TE is an NPK compound fertilizer with balanced macronutrients and micronutrients for good growth and production. 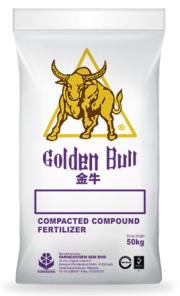 Provide both fast and gradual nitrogen action and phosphorus availability that are essential to the production of vegetables and cash crops during immature stage. 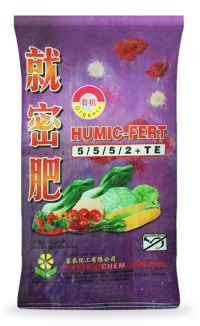 Uses potassium chloride (MOP) which is important for all crops to improve plant tolerance to stress and diseases and regulation of water movement through the plant. 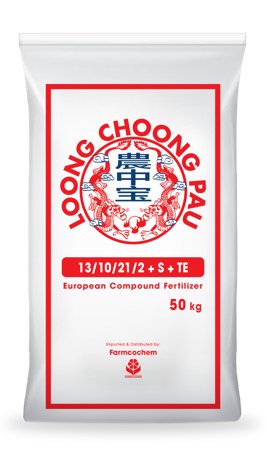 Loong Choong Pau 13/10/21/2 + S + TE is an NPK compound fertilizer with sulfur, magnesium and micronutrients. Provide both fast and gradual nitrogen action and phosphorus availability that are essential to the production of vegetables and cash crops during mature stage. 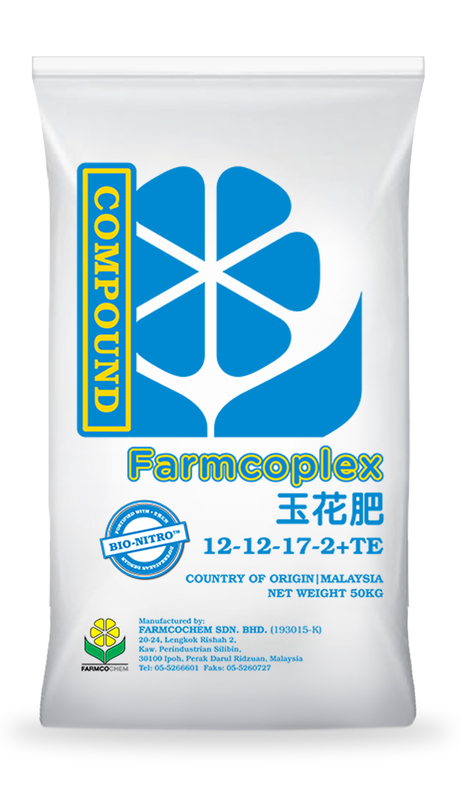 Uses potassium chloride (MOP) which is important for all crops to improve plant tolerance to stress and diseases and regulation of water movement through the plant. It contains Sulphur (S) which contributes to an increase in crop yields. 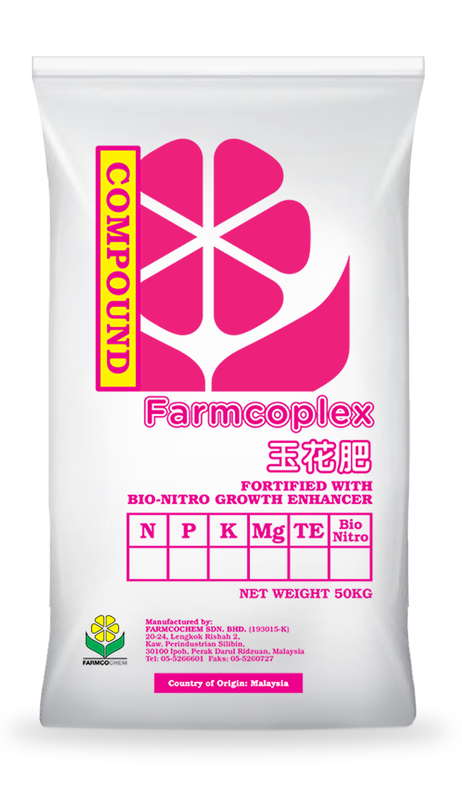 Farmcoplex is a series of highly water soluble compound fertilizers that is enhanced with Bio-Nitro. 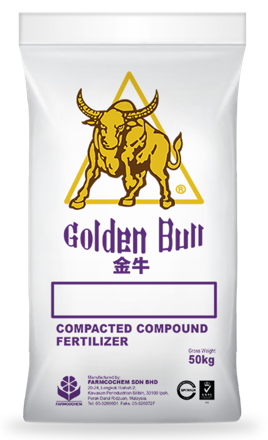 Golden Bull is a high quality compacted compound fertilizer with well-balanced nutrients composition to provide essential nutrients for healthy oil palm growth. Bulk blend fertilizers are a physical mixture of various fertilizers in order to obtain a predicted N-P-K chemical composition. 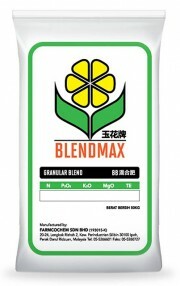 This offers greater flexibility of plant nutrients. 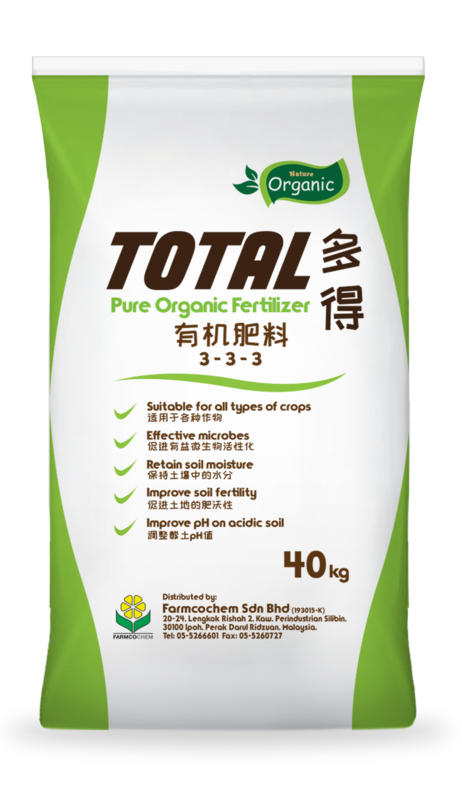 In addition, these types of fertilizers are comparatively economical as it allows crop specific fertilizers to be mixed together and contributing additional benefits for the farmers. 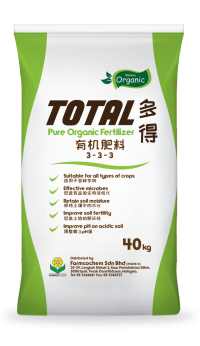 TOTAL 3-3-3 increases fertilizer efficiency and it is suitable for the use in all crops. 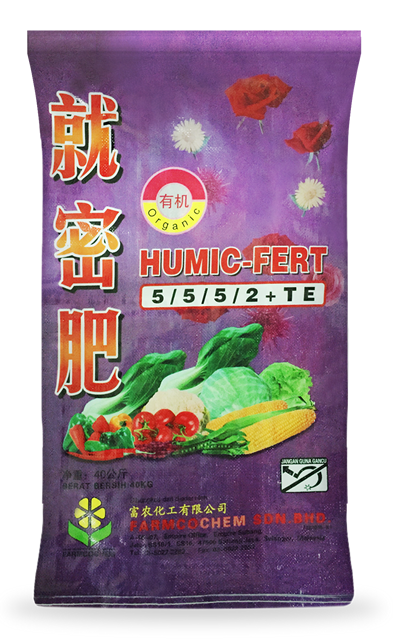 Humic fert is a chloride-free organic fertilizer which is suitable for the use in all crops. 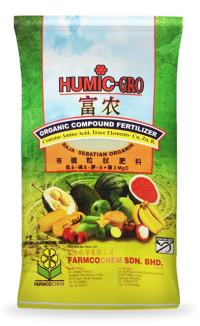 Humic Gro is therefore recommended for use in highly weathered tropical soils which usually have low Cation Exchange Capacity (CEC). 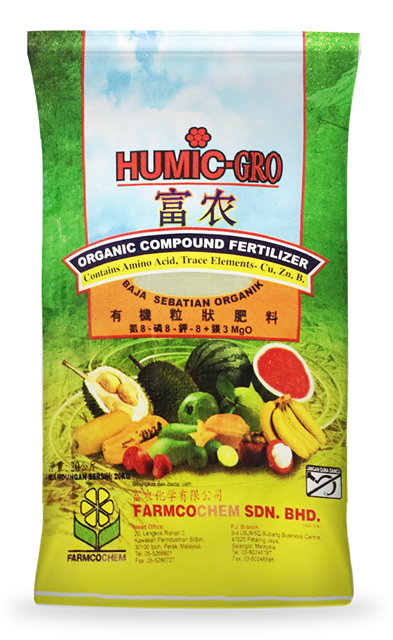 Humic Gro is suitable for use in fruits, paddy, ornamentals, vegetables, lawns, turfs, nurseries and other commercially cultivated crops.